Anton joined Beaufort Group in 2016 as a Quality Control Specialist. His primary areas of responsibility are to assist in the delivery of the firm’s sizeable pre-approval process, which involves in-depth reviews of all written financial advice given by the advisers to their clients to ensure standards of quality, consistency and excellence are adhered to. Anton is also involved in financial promotions capability within the firm which monitors and checks and reviews every piece of written material that goes out externally from the firm including everything from press releases, blogs, newsletters, brochures to investment reports. 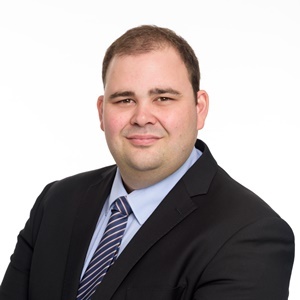 Prior to joining Beaufort Group, Anton worked at Structured Wealth Management, an Independent Advisory Firm, in South Africa, as a paraplanner. The role required extensive knowledge and use of technical applications, namely, in the research of products, packages, platforms and providers, as well as the drafting of suitability reports and adhering to strict compliance and due diligence procedures. Outside of work, Anton enjoys the outdoors, swimming, barbequing, and spending most of his free time passionately watching rugby.